This morning we arrived to see this beautiful winter wonder land. But unfortunately, winter has not yet started which is kind of crazy since we have already set several records for low temperatures and now we have considerable snow on the ground. But still, at 9:11 a.m. PST on Saturday, December 21st, the sun will appear directly overhead along the Tropic of Capricorn, at 23.5 degrees south latitude. With the Earth's north pole at its maximum tilt from the sun, locations north of the equator see the sun follow its lowest and shortest arc across the southern sky, which means tomorrow we will have the shortest daylight period and longest night period of the year. On the bright side, for the next six months, the days again grow longer as the sun spends more time above the horizon. But really, I don't hate winter that much. 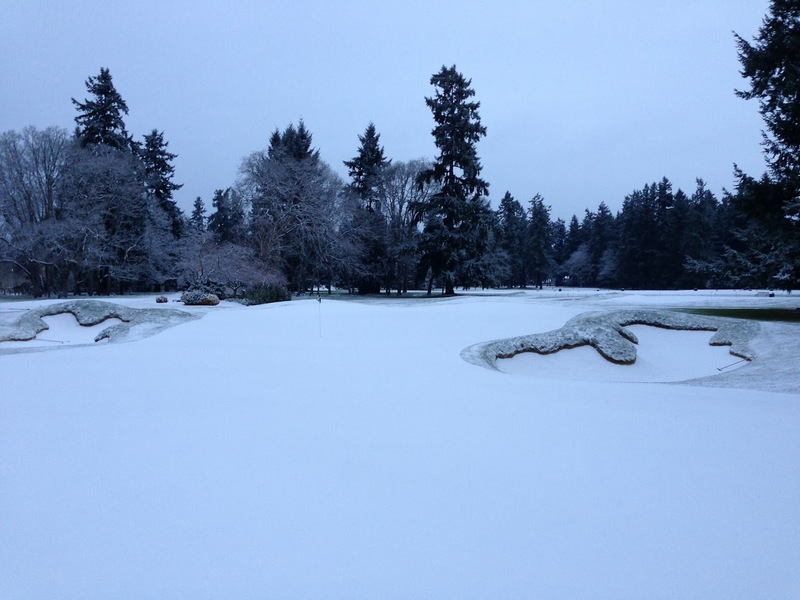 For one, the course at Tacoma C&GC is a great winter course. For example, this past Monday we mowed every square inch of the fine turfs. 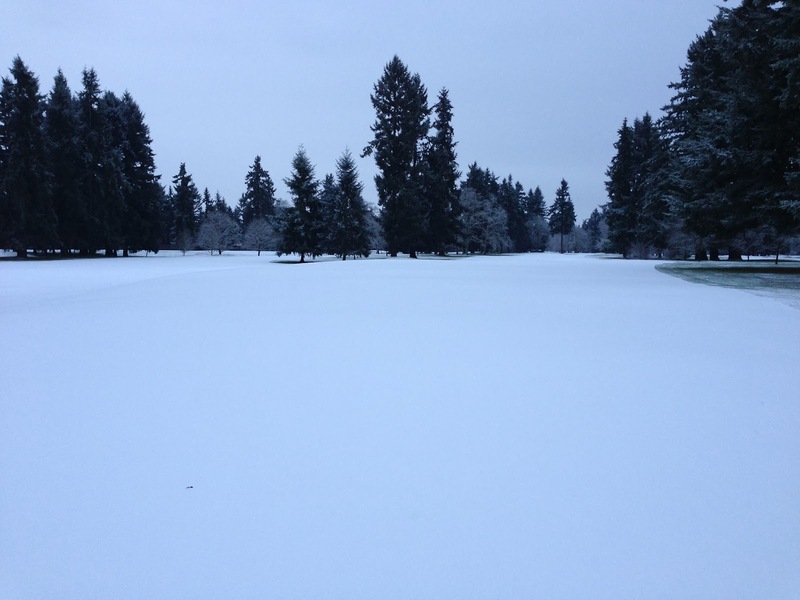 In other words, the course drains very, very well so our staff can present a very good product even during the coldest, wettest, darkest time of the year. On that subject, this week we also vented greens and sprayed them with some food and disease protection. Considering the deep freeze we had last week, the greens looked and played very well for this time of year. 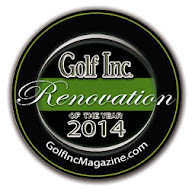 The off season is also a time when we can do course improvement projects. Nothing feels better than leaving the property for the day knowing that you have done something that had a lasting impact on the property. Lastly, on a personal note, I like to ski so in the winter I still get a chance to keep active and spend quality time with the wife and kids. 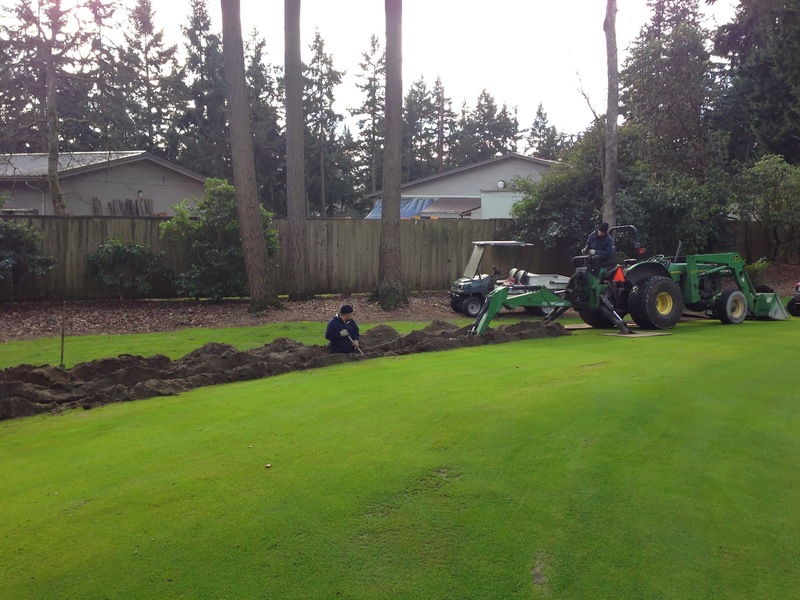 On the subject of course improvements, the project of trenching in the communication cable is coming to a close. 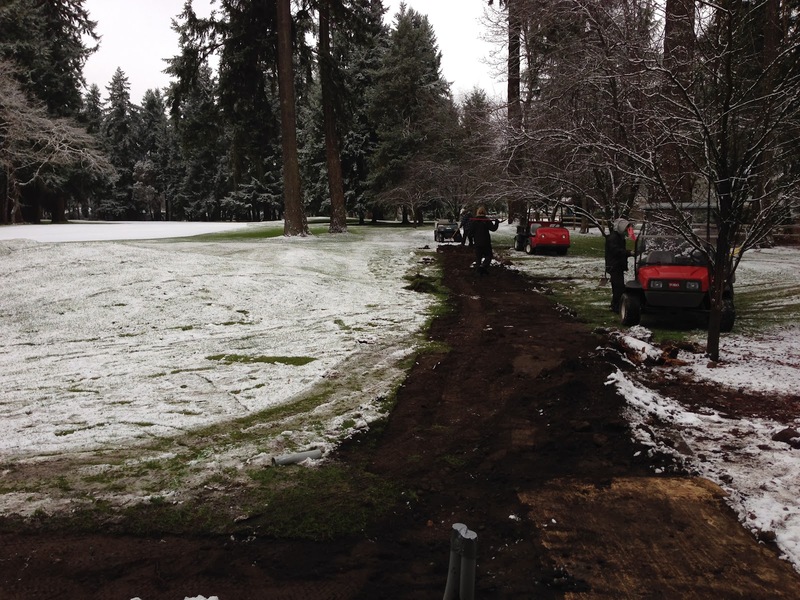 Here you see us yesterday behind #2 green. At this point we are just a couple hundred feet from the end. Things are going well and I look forward to seeing this area once we are finished because it will be much more playable. Today, with the snowfall, I was happy to have this project because with it we were able to keep everyone busy and productive. 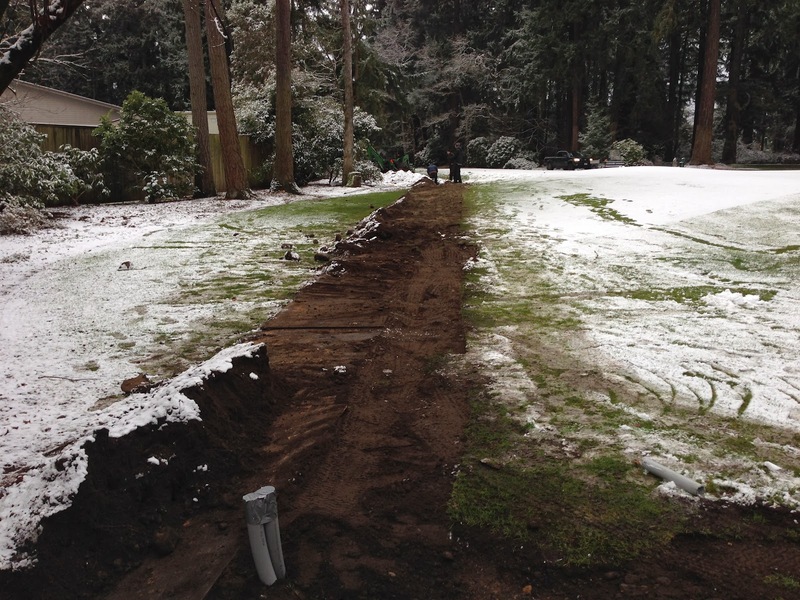 This project is 1000 feet long so there was plenty of trench to have everyone doing something. Check out this picture from the proshop area. This is the first snow since the renovation project and I find this area where we connected fairways 9 and 18 absolutely beautiful. If you look close, you can see 6 green beyond that big fir which is 1/3 of a mile away. That's pretty cool.